You may often feel overwhelmed and can feel so distant from the world others seem to be living in. Perhaps you’ve been carrying a sense of dread, sadness, anger or ‘wrongness’ with you for a long while and you’re tired of it. I work with courage, warmth and compassion and, with time, I hope this will begin to challenge that feeling that you’re not good enough. We will explore life from the deep because not only can it lead to deep connection, but from here you can find a way to really value the whole of you. It can mean you find your own voice amongst the noise. If this makes sense to you… please do get in contact. Finding a counsellor is a really personal decision, and it’s important to me that you find someone that is a ‘good fit’ for you. We can meet for an initial counselling session to see if we would like to work together with no pressure. 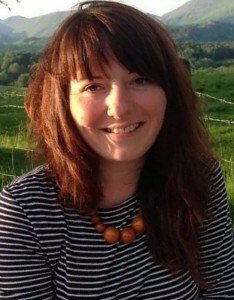 Michelle Woodall is an Edinburgh Counsellor and a member of the British Association of Counsellors & Psychotherapists(BACP). She works in accordance with the BACP Ethical Framework for Good Practice which sets the standards for ethical counselling & psychotherapeutic practice. It requires that counsellors must have graduated from, and had at least two years of counselling and psychotherapeutic training, which must have included a supervised placement with clients. Michelle Woodall graduated in 2008/9 from The University of Warwick‘s Diploma in Person-Centred Counselling & Psychotherapy which is a BACP accredited course. 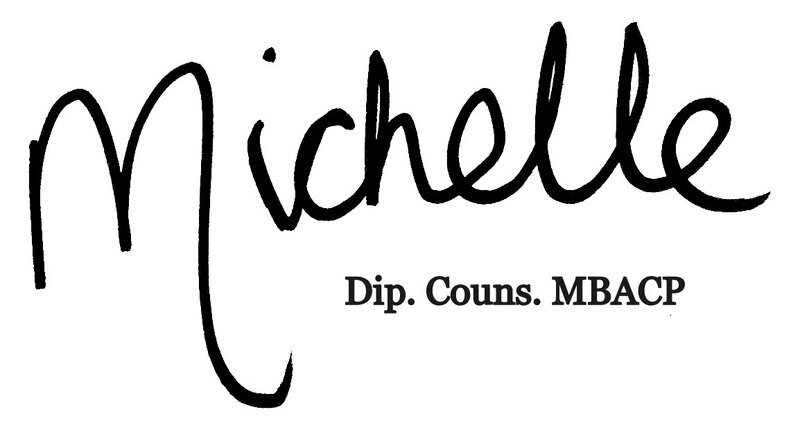 Michelle holds a Certificate in Integrative Counselling from University Birmingham (2006). Previous to this Michelle worked for several years in the mental health field and gained experience supporting people who self injured, had experienced trauma and worked with young people in mental distress. She has worked in four charities as a Counsellor. She brings all this experience to her private practice. What is the difference between Counselling, Psychotherapy and Psychology? The terms ‘Counselling’, ‘Therapy’ and ‘Psychotherapy’ can generally be used interchangeably and refers to the process of a client and a trained therapist meeting to explore how the clients experiences their world, what causes the client distress and the process to discover any ‘solutions’, if there are any. Counsellors have been trained in the theory of counselling and have clinical experience of one-to-one work with clients. Psychotherapists will have similar training to that of a Counsellor and the differences between the terms are debatable, see more information here. Counselling Psychologists have a similar training to a Counsellor or Psychotherapist, but will also hold an additional degree in Psychology. Michelle Woodall is an Edinburgh Counsellor. She offers one-to-one counselling and psychotherapy for help with most issues and focuses on working with people who experience the world sensitively and deeply, sometimes referred to as ‘high sensitivity‘. Please feel free to send an enquiry if you would like to find more about an initial session. Counselling sessions tend to last for an hour (although we can discuss differing lengths) and are an opportunity for you to focus on any issues which might be troubling you. Michelle aims to honest, real and open with you. This relationship helps to form a safe and confidential space for you to explore what causes you difficulty. Michelle Woodall offers private therapy to individuals in central Edinburgh. You can book a counselling session online or call me.The most common reasons for seeking help with a counsellor is stress, anxiety, relationship problems, anger-management and depression. Michelle works with those who are highly sensitive.